“I am shocked by former Nairobi Deputy Governor Jonathan Mueke allegations that a Public Private Partnership (PPP) plan to upgrade Pumwani Hospital entered in 2016 between Nairobi County and investors from India was not approved by the National Treasury leading to the withdrawal of the project,” declares Nairobi Governor Mike Sonko as he reveals heartless looting of public funds at City Hall during former Governor Evans Kidero tenure. 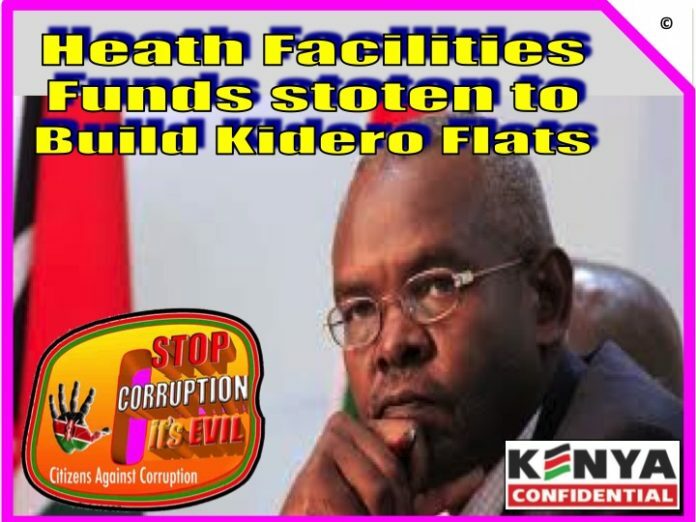 He then exposes shocking details of how hundreds of million of shillings intended to upgrade health services in Capital City of Nairobi’s two hospitals of Pumwani Maternity and Mama Lucy were diverted to build Kidero’s apartments and to fund Kidero Family Foundation. Sonko says National Treasury through Principal Secretary Thugge approved the PPP of Pumwani Maternity hospital in 2016 but project failed to be launched “simply because the investors from India were asked to give an upfront kickback of Ksh 350,000,000”. He assured City residents that, “After a thorough perusal of the file we have managed to get the same investors from India who are now ready to launch the Pumwani Maternity and Mutuini Hospital projects by next week”. TSonko continues to unleash a bombshell revealing that in the same year 2016, Treasury released Ksh 212,000,000 as part of the Health budget allocation. The money was wired to Nairobi city county Co-op Bank Account Number 01141232396601 only to be diverted to private benefit. Out of this amount Ksh 103,000,000 was to cater for the completion of the stalled 74 bed multi-storey block at Mama Lucy Hospital while Ksh 109,000,000 was for commencement of Pumwani maternity hospital upgrade. The Ksh 109 million intended for Pumwani maternity hospital upgrade was then transferred from Nairobi City County Co-op Bank Account Number 01141232396601 to Gurumani Traders Ltd, whose Directors are George Wainaina Njogu and his brother John Njogu to their Co-op Bank Account Number 01148230208500. George Wainania was Chief of Staff in Kidero’s government at City Hall and also during his tenure at Mumias Sugar Company, which they looted to bankruptcy. Wainaina was known as Kidero’s Biwott for using underworld and unorthodox tricks to enrich his boss like the late Total man Nicholas Biwott enriched former President Daniel arap Moi beyond his realm of imagination. Like Biwott, Wainaina also accumulated immense wealth from City Hall during Kidero’s tenure. The same Ksh 109 million intended for Pumwani Maternity upgrade was later transferred to Sagar Builders Ltd Account Number 95860400000034 in Bank of Baroda. 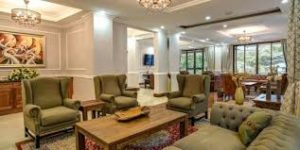 Records at the County’s Planning Department show that Sagar Builders are the contractors who built Gem Suites Apartments at Riverside owned by my predecessor – Governor Evans Kidero. That can only mean the high probability that Pumwani upgrade cash was diverted to build Kidero’s apartments at Riverside. If that is the case, the apartments should be recovered as proceeds of corruption and sold to recover the cash diverted. The Ksh 103,000,000 intended for completion of the stalled 74 bed multi-storey block at Mama Lucy Hospital was also transferred from Nairobi City County Co-op Bank Account Number 01148230208500 to Lodwar Wholesalers Ltd, whose Directors are also George Wainaina Njogu former my predecessor’s (Kidero) Chief of Staff & his brother John Njogu’s account in Kenya Commercial Bank Bank Account Number 1126798398. Both Wainaina and his brother Njogu should be investigated and prosecuted along with Kidero. Part of that money was then transferred to Kidero Foundation Family Bank Account Number 068000004475. That means Kidero was diverting public funds intended for Nairobi residents health department to his family Foundation account. Another Ksh 58,000,000 that was part of health allocation to Pumwani Maternity Hospital from Treasury banked in Nairobi City County Account Number 1000171502 Co-op Bank Development Account was later transferred to the lawyer, who was recently murdered when investigations commenced through his law firm Wachira Mburu & Co. Advocates to Jamii Bora Bank Account Number 013331712948. Lawyer Mburu then transferred the money to The Cups Ltd, which is also owned by George Wainaina Njogu (Kidero’s former chief of staff) to Jamii Bora Bank Account Number 101678616001. Police should investigate the connection between the lawyer’s murder and the money laundered through his company. Co-operative Bank and Jamii Bora Bank should also be investigated as willing collaborators in abating theft of public funds. Wainanina’s Cups Ltd firm later transferred the money to Evans Odhiambo Kidero personal account at Family Bank Account Number 068000004475. Finally, adds Sonko, I wish to state that all the 3 companies Lodwar Wholesalers Ltd, Gurumani Traders Ltd & The Cups Ltd whose majority share holder partner was and still is George Wainaina Njogu ( former chief of staff) were involved in swindling the Public Health Department Funds. The sad part of outrageous theft of Pumwani Maternity funds is the inhuman nature of former Governor Kidero, who was born at Pumwani, cold-heartlessly denying mothers like his to enjoy facilities his mother enjoyed to deliver him. 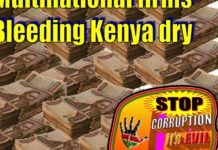 A typical case of a man leaving Kenya worse than he found it – a man who enjoyed Kenyan taxpayers’ generosity stealing from the same taxpayers.That is what corruption makes its victims – soulless beings who are like vampires. 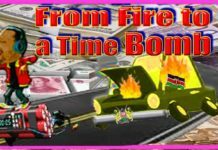 The companies used to loot the capital city funds were the same companies which fleeced Mumias Sugar Factory by receiving Sugar on credit from the factory, distributing it to different parts of Kenya but after being paid millions of shillings for it never remitted the money to Mumias Sugar Company. They also repackaged imported cheap sugar in Mumias packets and sold it as local sugar. 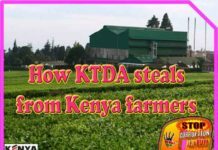 Part of Mumias sugar stolen was acquired duty free under the guise that it was relief sugar going to international agencies. 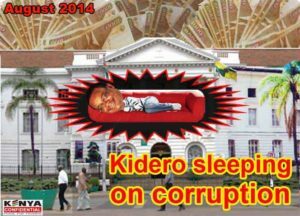 The money ended in Kidero’s purse and he used it to campaign for Nairobi gubernatorial election in 2013. That is the same Kidero who always bragged in media interviews when questioned about his wealth that he had worked in several companies at senior levels and he was not being paid with bananas. Sonko’s disclosure provides a very clear link of how Kidero looted billions from the sugar company. Sugar aside, Kidero is reported to have inflated the cost of machinery at Mumias for the failed power generation using sugar bagasse among other industrial equipment as much as three fold. Insiders say the project was purely intended to loot Mumias coffers. 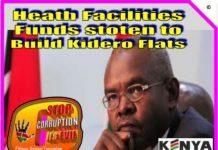 The insensitive looting at Mumias and City Hall explains Kidero’s ill-gotten wealth. 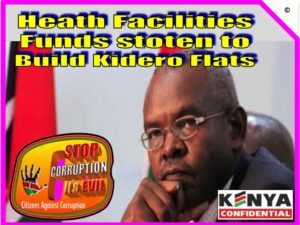 Over the years the Ethics and Anti Corruption Commission (EACC), Directorate of Criminal Prosecutions and the Directorate of Criminal Investigations declined to take any action against Kidero despite all the evidence given to them. Instead EACC joined Kidero in a fake arrangement of checking corruption at City Hall through which stolen cash was shared. Kidero also invested in Uber Taxi company the firm at the centre of exploitation of Kenyan drivers with meager commissions. 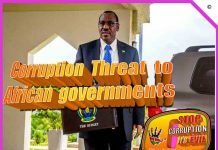 The EACC, the DCI and Office of Director of Prosecutions must now dig to the bottom of looting of Mumias Sugar Company and City Hall by Kidero that has been well documented by independent auditors as well as the government Auditor General and prosecute him and his collaborators. 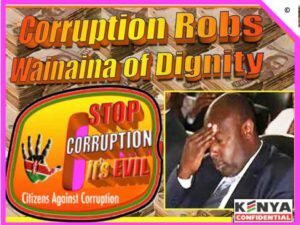 Two years ago Wainaina was apprehended by EACC on charges of attempting to bribe Sonko with a million shillings but the matter fizzled in thin air. 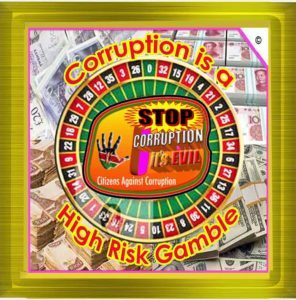 Sonko is simply proving to Kenyans that fighting Corruption is not Rocket Science – responsible agencies functionaries are the ones bribed to complicate, frustrate and sabotage investigations and prosecution. The ample evidence the Nairobi Governor possesses explains his furry at Pumwani Hospital last week when he discovered that even County officers were part of the misery city mothers continue to suffer after being robbed of their money by the custodian entrusted with it. It also explains his prompt suspension of senior officers, including the County Secretary Peter Kariuki who appears not bothered about corruption at City Hall or anywhere in Kenya. 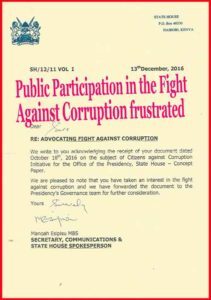 Kariuki sat on a concept paper by Citizens Against Corruption intended for President Uhuru Kenyatta’s attention forwarded o him by former State House Spokesperson Mahoah Esipisu after the State House Summit in October 2016. 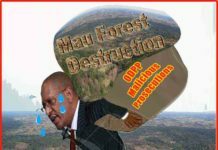 He was in charge of Presidency Governance Team. 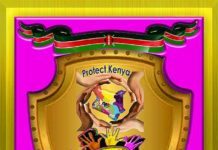 The concept paper expounded how ordinary Kenya citizens could participate in the War Against Corruption through manufacture and merchandising of Anti-Corruption products – making money and creating jobs like all wars do. Kariuki said in April 2018 he would respond after talking to the Head of Civil Service Joseph Kinyua and but never did. He never communicated what his boss said. 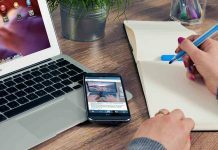 Instead he ceased to respond to telephone calls, SMSs and emails. There is every possibility that a cabal of civil servants around the President is working round the clock to frustrate his efforts to curb corruption in Kenya and will cooperate with criminal cartels to fight back and defeat his well-intentioned efforts. 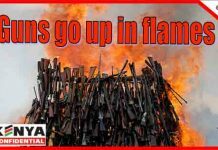 The sooner the President separates the wheat from the chaff the sooner will his war enjoy and gain full traction. 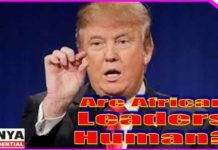 Next articleSunday Reading: Are African Leaders Humans?